Bass Harbor Lighthouse is a scenic lighthouse in Acadia National Park, Maine. 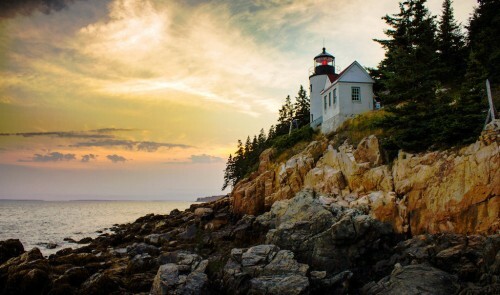 The lighthouse was built in 1876 and is situated on Mount Desert Island. Credit: Special thanks to Chris Potako for making the photograph used for this jigsaw puzzle available through the Creative Commons Attribution license. Visit Chris Potako's Flickr photostream. See all jigsaw puzzles based on Chris Potako's photographs.